Visit Darwin, the tropical capital of the Northern Territory, for a trip filled with rich landscapes, Aboriginal history and true Australian adventure! Tours of Darwin take you through the Kakadu National Park, which is listed on the World Heritage. You’re able to explore the vast wetlands, diverse wildlife and even Aboriginal rock galleries. Tours even allow you to find adventure in the area’s dramatic history and festive outdoor events and markets. Or, travel to Darwin’s waterfronts for water sports, sandy lagoons and world-class restaurants and shops. Outdoor recreational tours of Darwin are abundant as Litchfield Natural Park and Kakadu National Park are right at your finger tips. With the lush woodlands, breathtaking waterfalls and cool pools, Litchfield National Park offers a relaxing way to connect with nature. If you need a little more adventure, Kakadu National Park allows you to take walking tours through the rugged rainforest, or learn the pioneering history of Pine Creek. Explore the city’s contemporary and Aboriginal galleries for art from across the Northern Territory. Or, explore the diversity of Darwin flavors with restaurant tours. If you’re a wine lover, book a winery or wine tasting tour. When you’re done, be sure to book tours to the best shopping and markets. With a lush, tropical climate, Darwin is a tourist hotspot during the summer months. 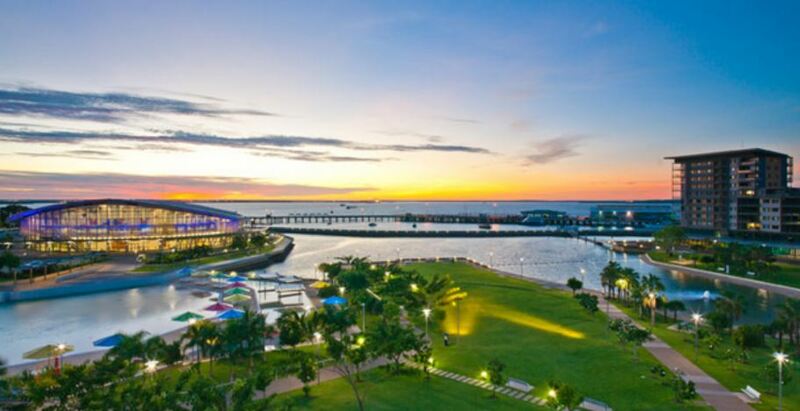 With numerous restaurants, cafes, pubs and things to do, Darwin is the perfect summer getaway. Even during the winter months, the tropical beauty and attractions remain just as exceptional. Hosting many annual events and festivals, from sport competitions and fishing contests to musical shows and historical commemorations, there’s always something exciting to do no matter when you plan your visit. Make the most of your time in the Northern Territory by booking tours of Darwin today!